Tournament is open to men and women. Teams consist of four members. Men bowl 9 pin and women will bowl 8 pin. Which means if men bowl a 9 or a strike it counts as a strike; if women bowl an 8, 9, or strike it counts as a strike. 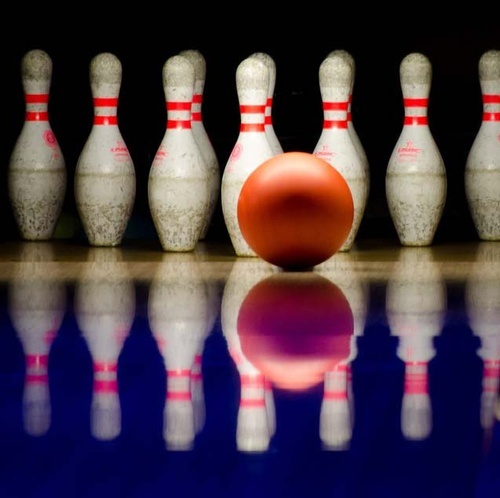 Registration begins at 9 a.m. with tournament beginning at 10 a.m.
Four games will be bowled by each team on the same pair of lanes, lowest team game will be thrown out. Winners will be determined by the total pins of the best three team games. All bowlers are required to check in 30 minutes prior to start time. Any dispute in scoring shall be brought to the attention of the tournament official immediately. No absentee games are allowed. There will be morning and afternoon flights. Team captains will be called with their flight assignment the week before the tournament.